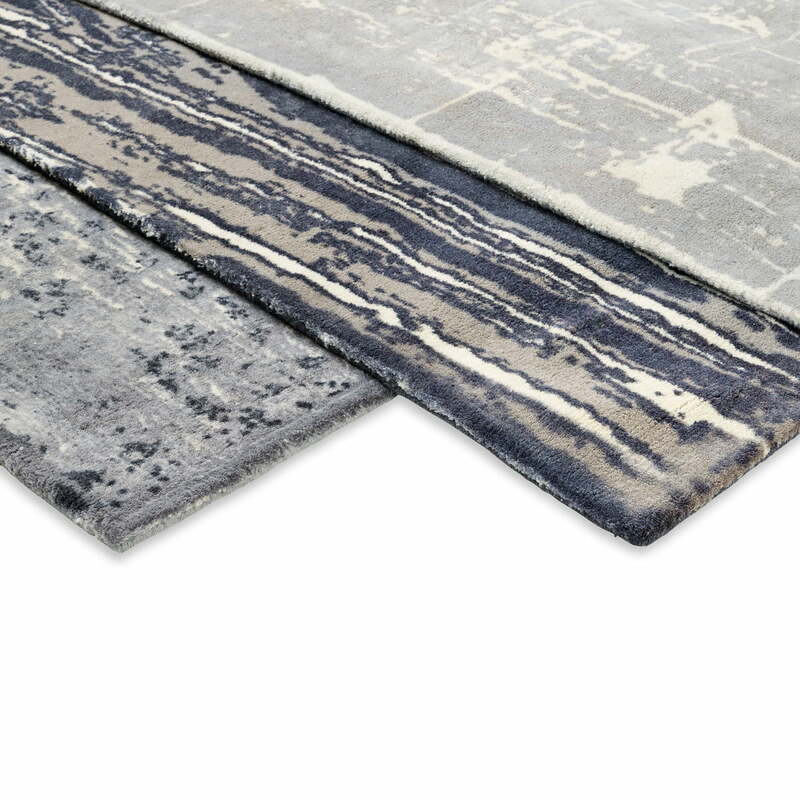 The Mater Rugs Info shows abstract photographs of the Foundation for Deep Ecology, an organisation dedicated to the protection of nature and wildlife. Each photo tells an important story related to human pollution and climate change. IR01 is inspired by a photo of the contrails caused by the crowded air traffic over London. IR02 takes its motif from the image of a thousand-year-old forest that fell victim to a chainsaw to make room for a new dam in Oregon. 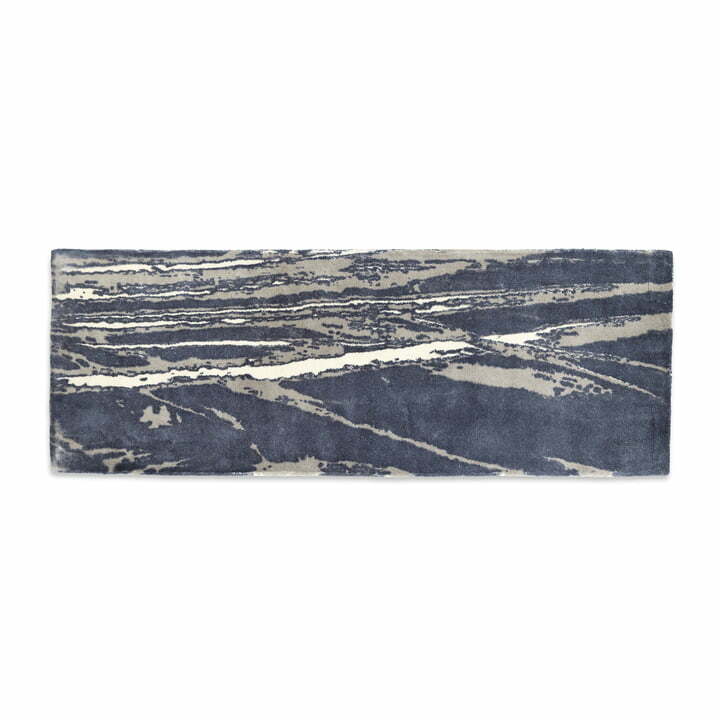 IR03, the largest rug in the collection, shows a gigantic oil field in California. 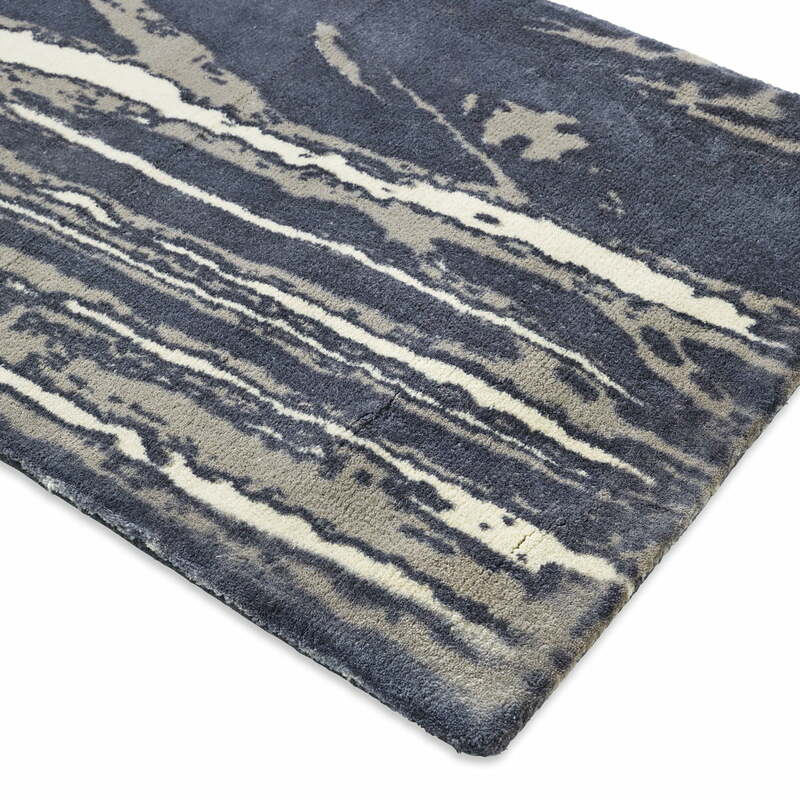 The Info rugs are tufted in traditional handwork from 80% undyed Indian wool and 20% cotton and have a soft yet dense thickness of 16 mm. The motifs are simple and minimalistic. 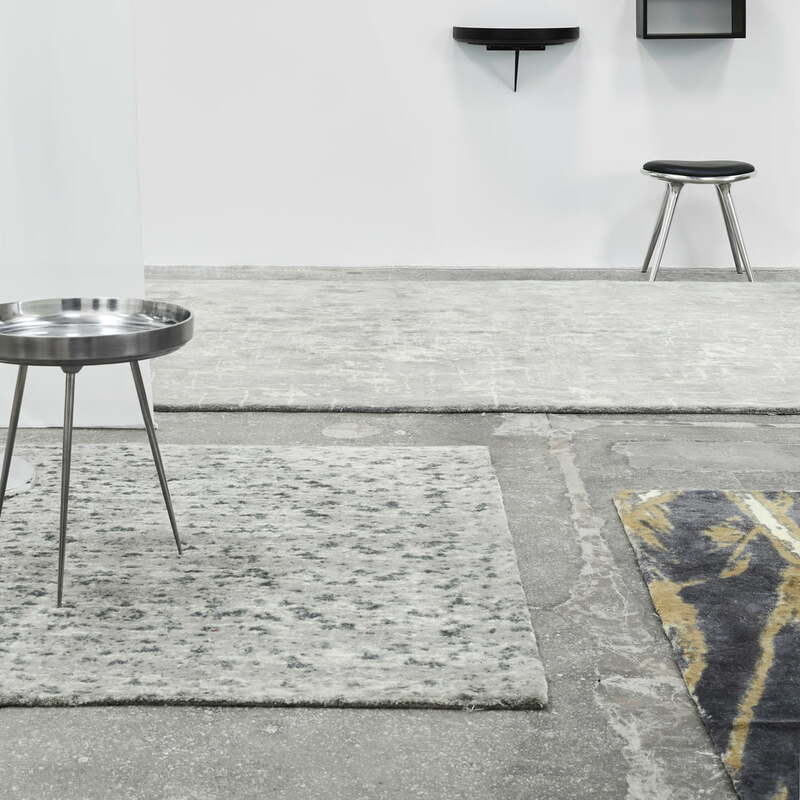 They are printed on the rug using very few colours with consideration for the design, the craft tradition and the environment.